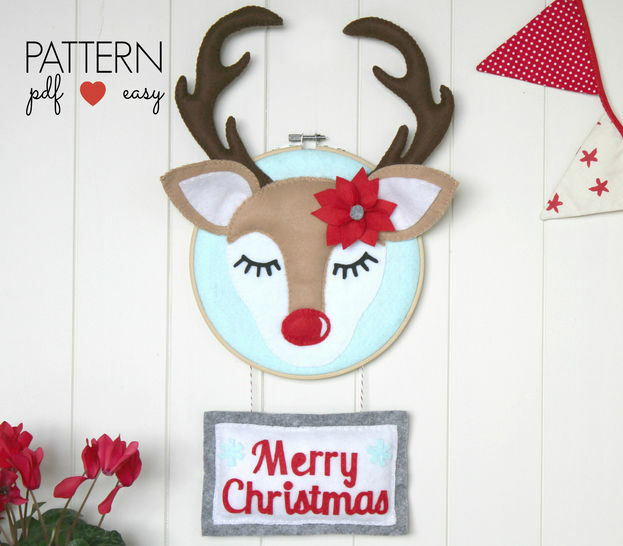 Christmas Door Sign DIY Decor Pattern - Create this festive heirloom wall or door art yourself! Stitched by hand, its the perfect sewing pattern for beginner/intermediate sewers. I will show you how in my step by step photo pattern E-Book. This listing is for a digital-download PDF-PATTERN. It is not a finished hoop art. As a beginner, I would allow 3-4 hours to sew this creation (this includes reading through your pattern, cutting and stitching). Please note this is an approximate, as sewing time is very dependent on your sewing skills.